Crowne Plaza Resort Sanya Bay is 4 km from the Phoenix International Airport. Our resort guests can enjoy a longer vacation instead of spending time travelling to the airport. Not to worry, all rooms face the sea and there is no aircraft noise to disturb your vacation. As the only Baroque style luxury resort, you enter into a grand 2,000 square meter lobby, beyond which is the blue ocean. 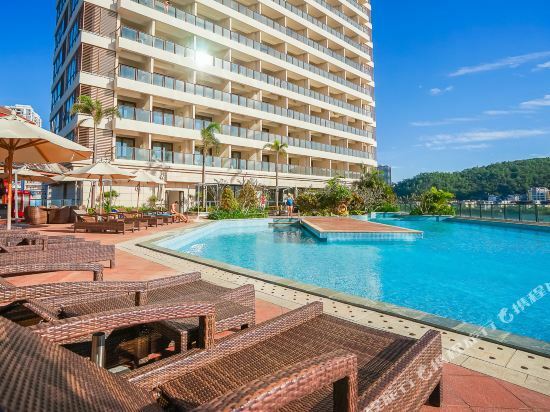 Guests are spoilt for choice between the fitness center, 2 outdoor infinity pool, lush greenery and the resort's emphasis on "Lollipop Castle" Adventure program tailored specially for young children. The guest rooms are as expected from an international luxury brand. Plus, each sea-facing guest room with its large bathtub always becomes the highlight for families and couples, creating those memorable and romantic moments. Are you hungry? The resort's dining experience includes outdoor Brazilian BBQ, Chinese cuisine, Asian and a specialty North-West cuisine. Evening lounging at the lobby bar is integration with the natural surrounding and is particularly relaxing. The Resort encompasses 1,158 square meters of conference area with 8 separate conference rooms suitable for a variety of configurations. The banquet hall can seat up to 380. Whether it's the elegant cocktail party by the pool, a relaxing Champagne Brunch, or a grand wedding, our crown holiday conference director and the wedding director are able to tailor to your needs to meet your expectations. If you want to stay in the best hotel in Sanya, China, please come to Trip.com for a custom trip. Staying in exclusive Sanya Crowne Plaza hotel Trip.com offers, you can fully relax and enjoy the stay in Sanya and around Sanya. 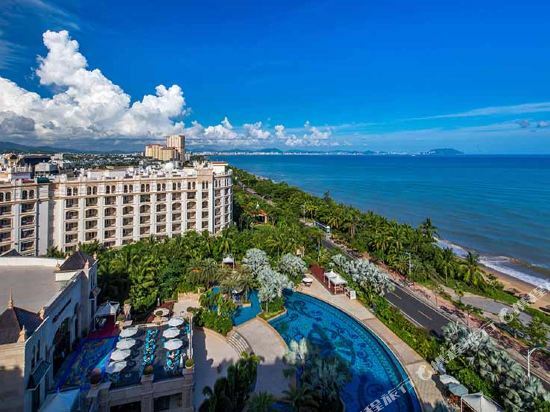 All these Sanya Crowne Plaza hotels lead in the industry in aspects of environment and recreation facilities, providing the best hotel service in Sanya. To ensure that you can find the latest Crowne Plaza hotel in Sanya, the latest hotel price as well as hotel facilities and indoor facilities information will be offered. In the meantime, detailed photos of Sanya Crowne Plaza hotel will be displayed, making you know quickly whether hotel’s interior environment meets your taste. Besides, you can know specific location and reviews on Sanya Crowne Plaza hotel from millions of users. If you want a nice room with limited budget, please filter through price and distance to get an appropriate Sanya Crowne Plaza hotel. To ensure you can experience the best Sanya Crowne Plaza hotel, users and we give a comprehensive rating on hotel, which gives useful help. Believe it or not, as the biggest online travel service company, we have the best service assurance and perfect users’ experience to meet your requirements in different aspects, no matter it’s Sanya hotel or Sanya Crowne Plaza hotel.